If you have not yet had the opportunity to experience this magical event, we invite you to join us for this year’s train ride. 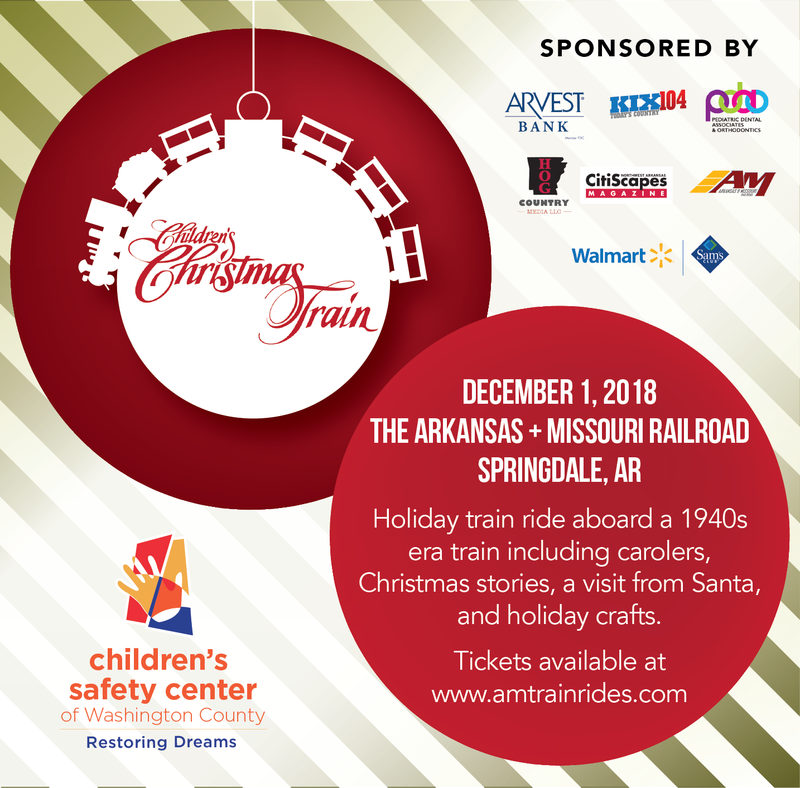 Children’s Christmas Train riders will depart from the Emma Street Train Depot in Downtown Springdale on Saturday, December 1st aboard a restored 1940's era train. The 40 minute ride to Johnson and back will include singing Christmas carols and story telling. After returning to the Train Depot families can enjoy holiday games and activities in Santa's Village. You will event have a chance to visit Santa himself in the Holiday Caboose! Children and families are also encouraged to dress in Holiday attire.